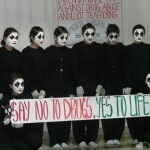 Vydehi Institute of Nursing Sciences and Research Centre has celebrated “INTERNATIONAL DAY AGAINST DRUG ABUSE AND ILLICIT TRAFFICKING” on 26/06/2015.Each year it falls on June 26 to raise awareness of the major problem that illicit drugs represent to society. 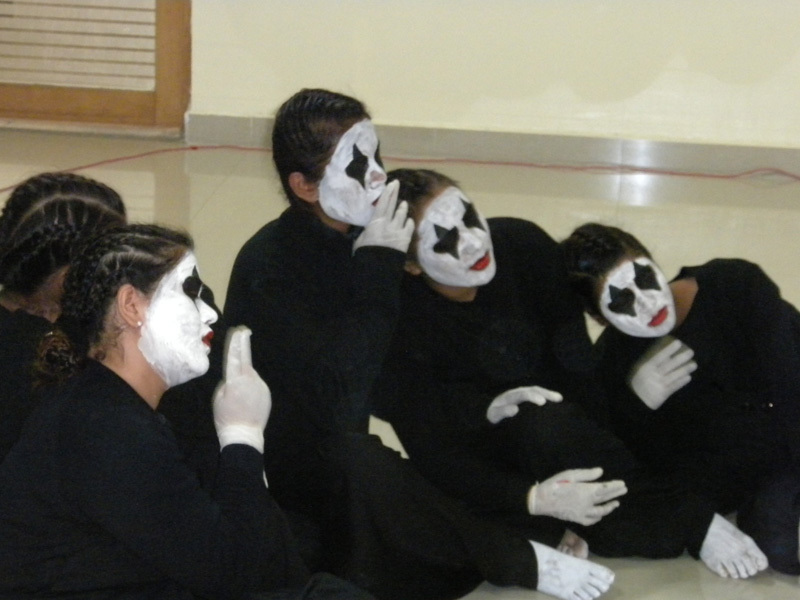 This day is supported by individuals, communities and various organizations all over the world. 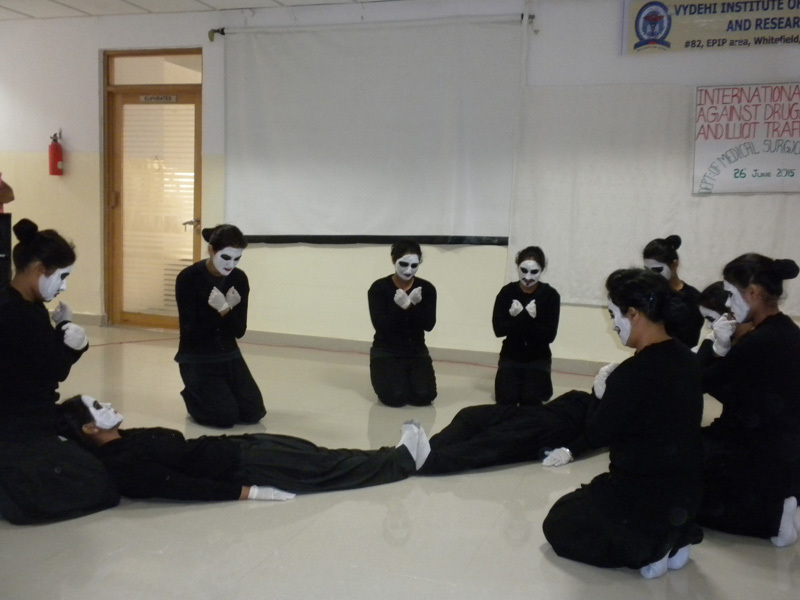 The department of Medical Surgical Nursing conducted “MIME competition” for student nurses. 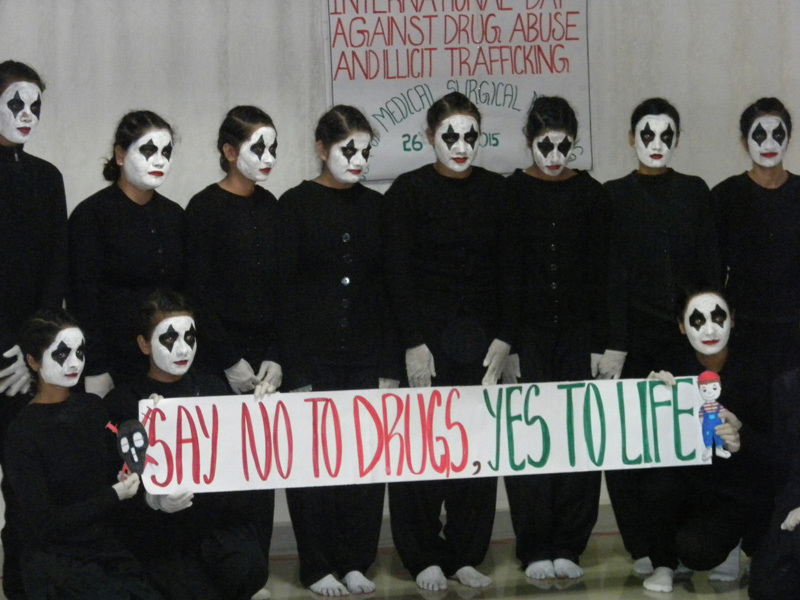 There were 3 groups who portrayed the effects of drug abuse, societal impact and solution for the problem. Four faculty judged the competition. 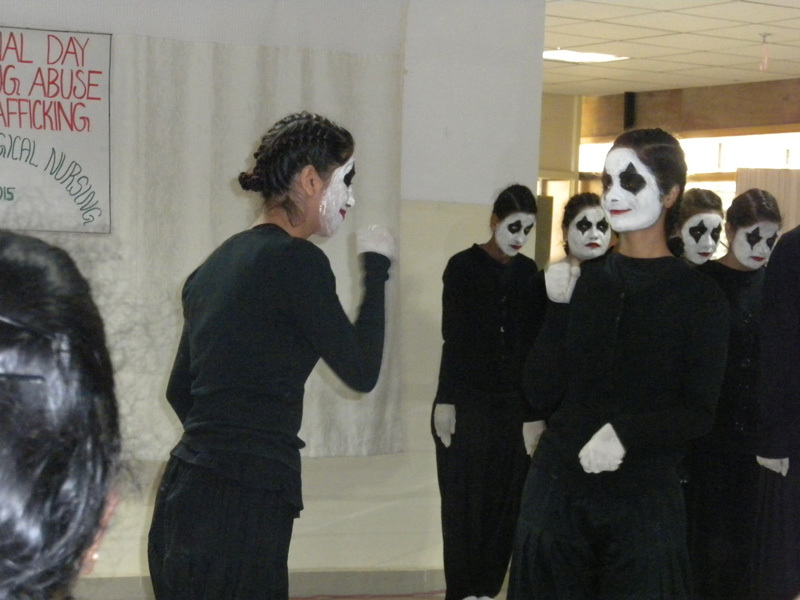 Finally 3 prizes were announced (1st,2nd, &3rd)and distributed and students were appreciated for their artistic talents.